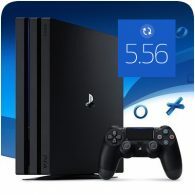 Yet another minor firmware update for the PS4 was been released, updating the PS4 to version 5.56. If you’re not keeping track, this is the third minor update to PS4 Firmware 5.50. Luckily, this update is optional, and isn’t required unless the game you’re playing requires it. You can continue to access the PlayStation Network even if you don’t update to this latest version.